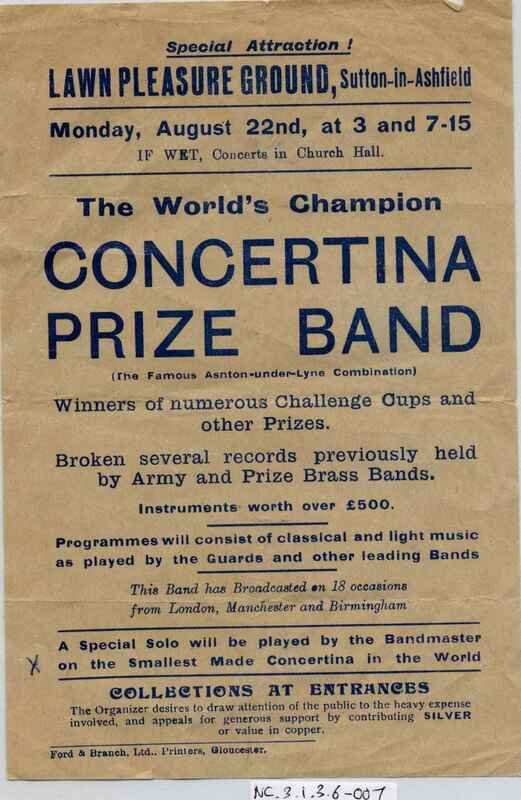 Full Description: The Alfred and Herbert Worsley/Ashton-u-Lyne Concertina Band Archive: A Band poster/promotional leaflet, for a performance at Dovecote Recreation Ground, Beeston on Monday August 22nd . Includes much praise, listing the band’s achievements and broadcasts. (A similar poster is at NC.3.1.3.6-006).